The New Year is well under way! from Mardi Gras to Lent! 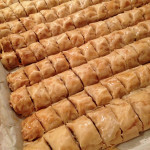 my last post just before Thanksgiving means i’ve been busy with other things: mainly i do lots of posting on my Alice’s Kitchen Facebook page of photos and there i repost my weekly food and garden column featured Wednesdays at ArabAmerica.com! i hope you follow me there! there’s photos, sometimes full recipes from Alice’s Kitchen, and other Mediterranean cooking ideas i get from my garden, what’s in season, and what inspires me. here’s a link to my regular FB page, and one for my art FB page! Arab America’s weekly newsletter reaches over 100,000 people, and this is a great platform for me. i hope you check it out! 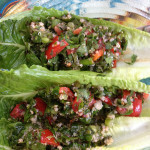 i will now start posting the same article here on my cookbook blog for you all to read. so here it is for your pleasure! Mardi Gras is today as I write this, which marks the day before the beginning of Lent in Christian traditions, and the last day to feast before the Great Fast. A day or more of feasting occurs in many parts of the world prior to 40 days of fasting until Easter. Carnival in Rio and Venice, and Mardi Gras in New Orleans and in other parts of the world are times of great festivities, parades, and celebration. 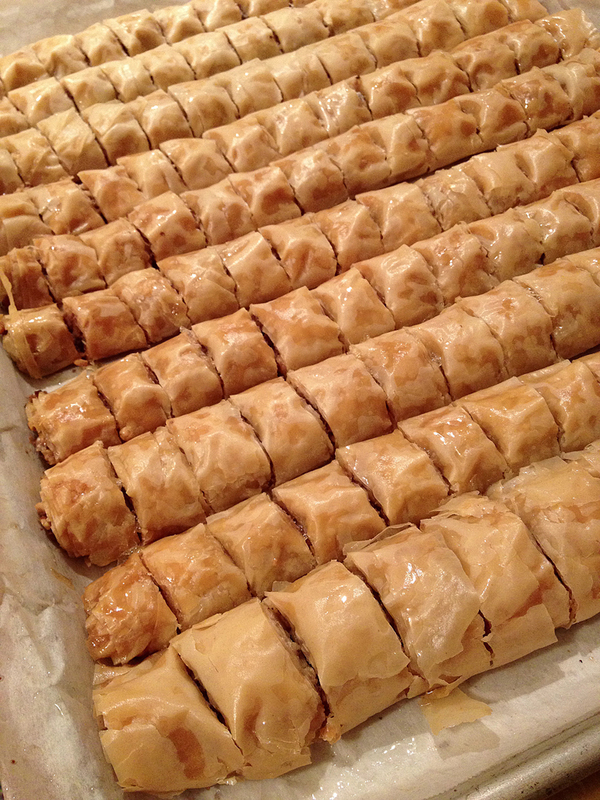 This Eastern Catholic ritual is practiced in Lebanon where my parents were born, by making and eating mjaddrah on the first day of Lent, which is also Ash Wednesday. Yet even these Byzantine Christian rites of fasting may begin earlier in the week and even the previous week if strictly practiced. 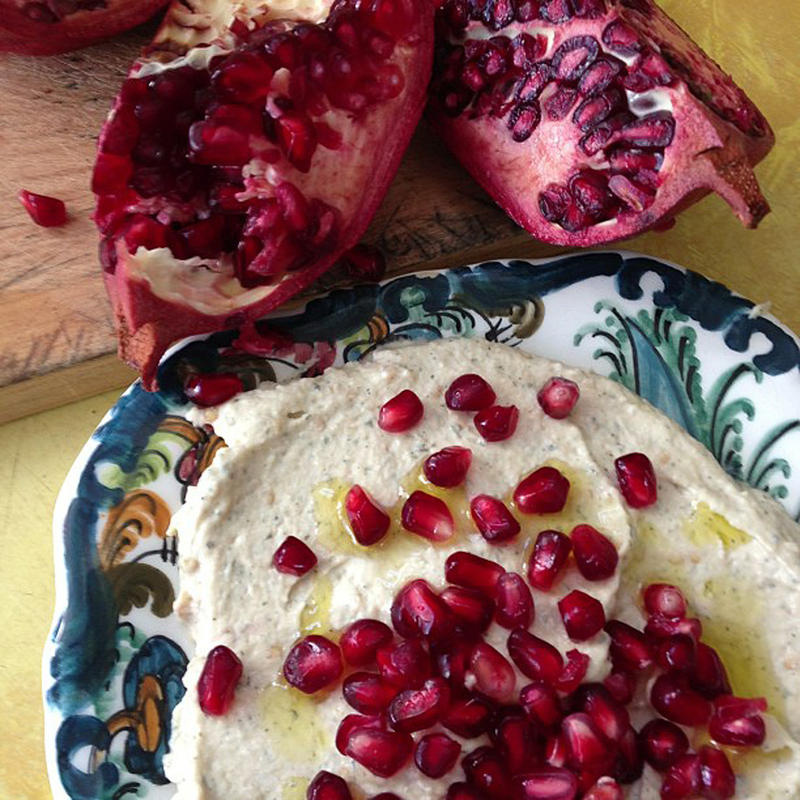 Mjaddarah was my favorite dinner entrée during Lent and all year, in fact. On one of my first cherished visits to Douma, my parents village in the north of Lebanon, my cousins invited me for dinner and asked what I would like them to make for me. My response as a vegetarian (nabeti) wasmjaddarah, of course, as none of my ghada or dinner invitations had yet offered this. The surprising thing: after much pleading on my part, my cousin agreed to make it for me on the condition that I told no one. Her feeling was that it was not “good enough” for me, as it is a poor person’s food. And when I dined in a villager’s home, others seemed to inquiry consistently, “What did they make for you?” in the sweet effort to go all out in hospitality for the guest traveler. Jesus, I have read, may have eaten mjaddarah as well—”a lentil porridge”. Its nutritious combination of lentils and rice make for a complete protein. The caramelized onions on top are coveted by everyone who tastes them. 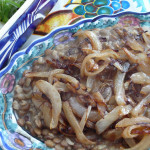 My cousin’s version had tiny diced caramelized onions for the topping on French lentils. It was excellent. 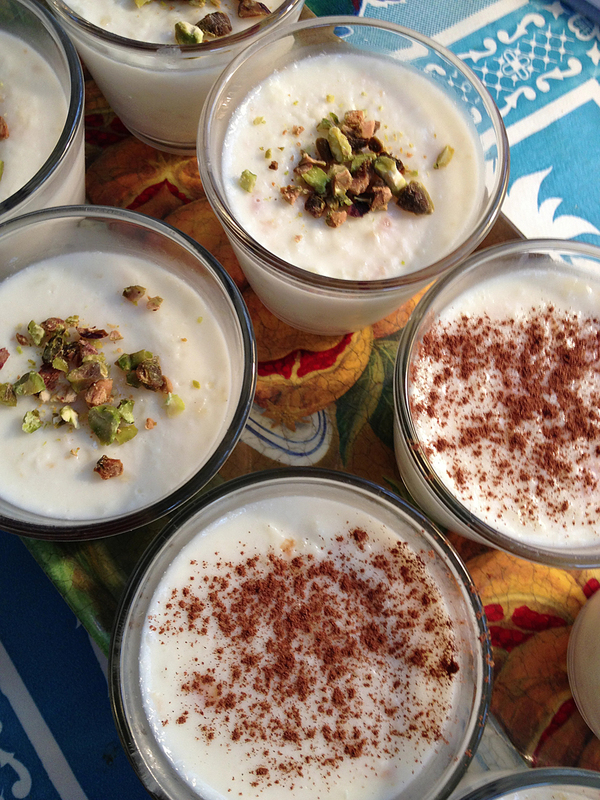 And now I can report that on my most recent trip to Lebanon in 2015, mjaddarah was served and it was not during Lent. It is a well-loved dish year round and not something reluctantly served. 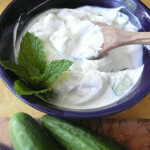 Easy to make, and wonderful served hot, at room temperature, or cold, mjaddarah is an essential Lebanese dish. 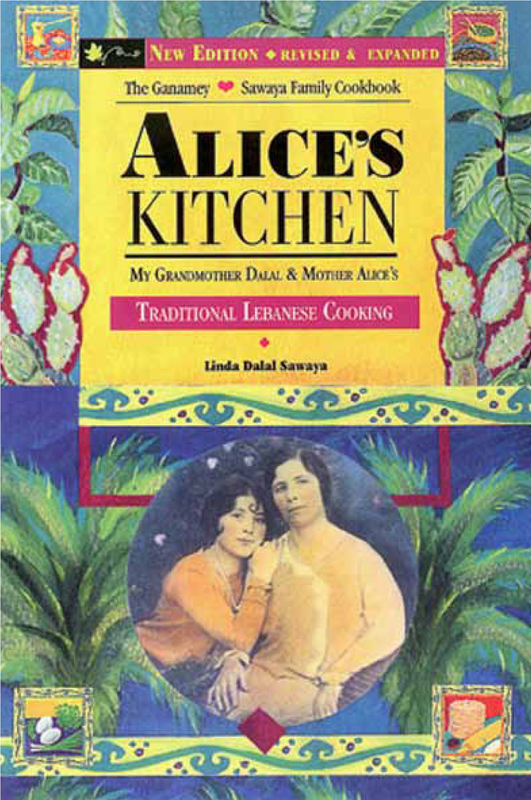 Two alternate versions of mjaddarah are in Alice’s Kitchen: Traditional Lebanese Cooking: one recipe is made with burghul (bulgar) instead of rice and is equally delicious; the other is called mdardarah, and is less of a porridge than mjaddarah, and is thicker using equal parts lentils and rice, while mjaddarah is 2 parts lentils to 1 part rice. The rest of the recipe is the same. 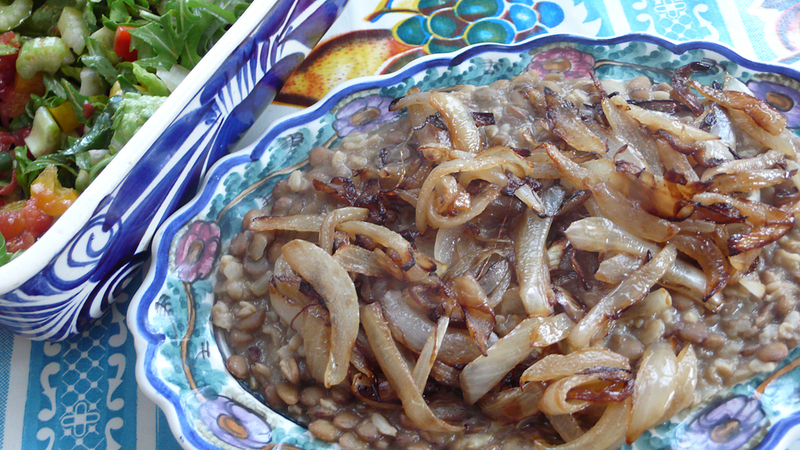 The crowning element of these lentil dishes is an abundance of caramelized onions topping them. If you don’t make enough, you’ll discover some scooping extra onions from beyond to add to theirs. Typically served with a Lebanese salad on the side, or as I preferred it as a child who already loved gardening, on top—with the lentils representing the soil and the salad representing the vegetables growing from it, this makes a sublime meal. Our typical village salad is composed of lettuce, celery, cucumbers, tomato, parsley, and spearmint, with a garlic, lemon, and olive oil dressing. The secret to the dressing is smashing the garlic with sea salt in a mortar and pestle creating a paste. The salt draws out the garlic’s moisture and when lemon juice and olive oil are added to it, make an irresistible salad dressing, or dressing for spring asparagus, steamed broccoli, spinach, potatoes, beets, and many of the prized vegan dishes in our cuisine. Another fabulous favorite Lenten recipe is sautéed spinach with lemon, garlic, and olive oil, drizzled over the top and then topped with crispy caramelized onions. There are three lentil soup recipes inAlice’s Kitchen to add variety to a Lenten menu. One of these I tasted on a memorable monastery visit in a nearby village, Kfar Hilda, during Lent on a trip to Lebanon in the 1990s, where their Lenten practice was so strict they did not eat olive oil in their lentil soup, which I was blessed to taste when they invited me to stay for lunch. It was rich with garlic and lemon, and the addition of fresh chard at the last minute. 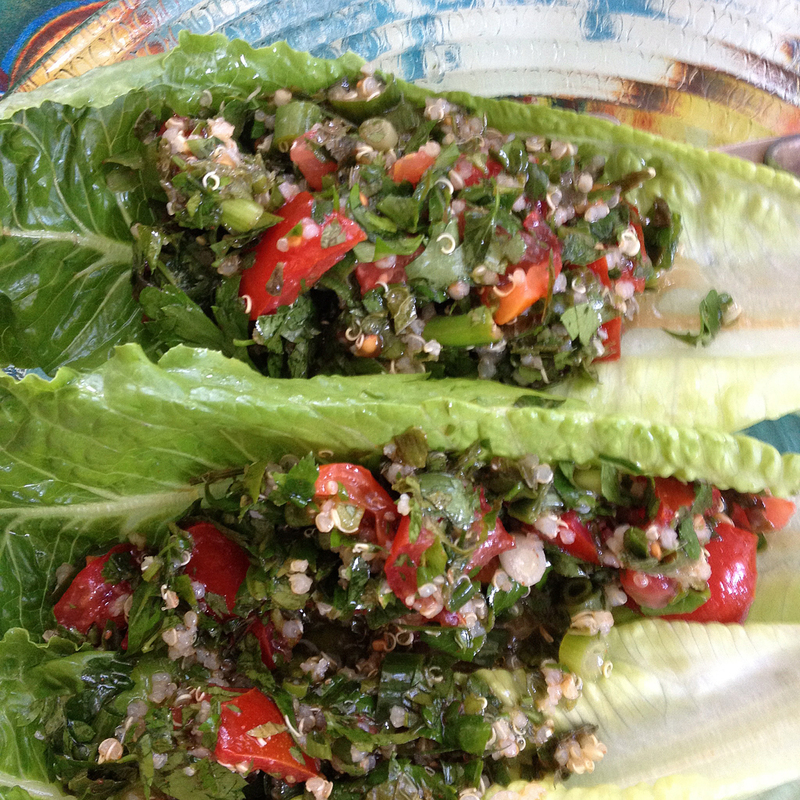 When writing Alice’s Kitchen, I had been a vegetarian for most of the previous 25 years, so my focus was vegetarian and vegan dishes that the Lebanese and Middle Eastern people love so much and have developed into a high culinary art. Mother told me that while growing up in her mountain village, meat and chicken were typically served on Sundays as a special meal, rather than an everyday occurrence. So our cookbook has a 30 page chapter just on vegetarian entrées, plus additional pages of soups and salads that are vegetarian and vegan. The names of the vegetarian dishes are called siyeme, which refers to fasting in the time of Lent, beginning now, but can be enjoyed year round. Muslims fast during the time of Ramadan. Spring fasting in the Christian tradition is a natural time to lighten up, eat greens, and release weight put on during the cold winter months of holiday indulging. As for my garden, right now there’s chard, kale, Italian parsley, and other greens which add to Lenten salads. Once long ago, I planted lentils and garbanzo beans just to try them out. I found the effort in harvesting them is best left to commercial organic growers, but the plants themselves were lovely. Occasionally one finds fresh green garbanzo beans in the market. In fact, a local, employee-owned grocery store that caters to an international clientele from Latinos to Arabs, sells them practically year round. They’re a special treat for Middle Eastern people who love this as an appetizer—one that is protein rich. I have just begin to sprout my peas to plant in the garden for June harvest, which makes me very happy! 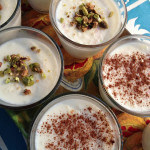 If you are fasting for Lent, or if you are vegan or vegetarian, you will enjoy these recipe ideas fromAlice’s Kitchen: Traditional Lebanese Cooking. Many blessings to you and yours! Happy cooking and sahtein! Please enter a number from 1 to 3.